For improving the reliability and efficiency of the dynamic analysis for planar parallel mechanism, the corresponding vector bond graph procedure is proposed. From the moving constraint relations between components of 3-PPR planar parallel mechanism, the corresponding vector bond graph model of the mechanism is made by assembling the vector bond graph models of planar rigid body, revolute joint and translational joint. For the problem of differential causality loop brought by nonlinear geometric constraints between components of the mechanism, the corresponding effective method is proposed. As a result, the algebraic difficulty in the mechanism automatic modeling and analysis is overcome. By the corresponding algorithm, the computer aided dynamic modeling and analysis of 3-PPR parallel mechanism is realized. By a practical example system, the reliability and validity of the procedure proposed are illustrated. 黄真, 孔令富, 方跃法. 并联机器人机构学理论及控制[M]. 北京: 机械工业出版社, 1997: 1-11. 高晓雪. 3-PPR平面并联机构的运动学和动力学性能研究[D]: [硕士学位论文]. 太原: 中北大学机电工程学院, 2014. 郑相周, 唐国元, 编著. 机械系统虚拟样机技术[M]. 北京: 高等教育出版社, 2010: 1-9. Karnopp, D.C., Margolis, D.L. and Rosenberg, R.C. 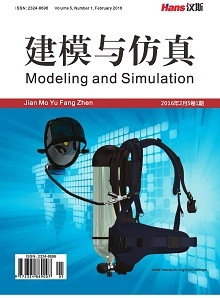 (2000) System Dynamics: Modeling and Simulation of Mechatronic Systems. Wiley, New York, 1-351. Kumar, A., Pathak, P.M. and Sukavanam, N. (2013) Trajectory Control of Two DOF Rigid-flexible Space Robot by A Virtual Space Vehicle. Robotics and Auto-nomous Systems, 61, 473-482. Cipek, M., Pavković, D. and Petrić, J. (2013) A Control-Orientied Simulation Model of Power-Split Hybrid Electric Vehicle. Application Energy, 101, 121-133. 王中双, 陆念力. 基于键合图的多体系统耦合动力学的发展及现状[J]. 中国机械工程, 2007, 18(17): 2137-2141. Behzadipour, S. and Khajepour, A. (2006) Causality in Vector Bond Graph and Its Application to Modelling of Multi-Body Dynamic Systems. Simulation. Modelling Practice and Theory, 14, 279-295. 王中双, 王西峰. 混合驱动五杆机构动态静力分析向量键合图法[J]. 机械传动, 2016, 40(1): 77-81.